On March 18, 1978, Lahore High Court (LHC) Chief Justice Molvi Mushtaq Hussain gave Zulfiqar Ali Bhutto a death sentence in a false murder case. The decision was not surprising as it was according to the wishes of dictator Zia-ul-Haq who was working towards removing Bhutto from Pakistan’s political landscape. 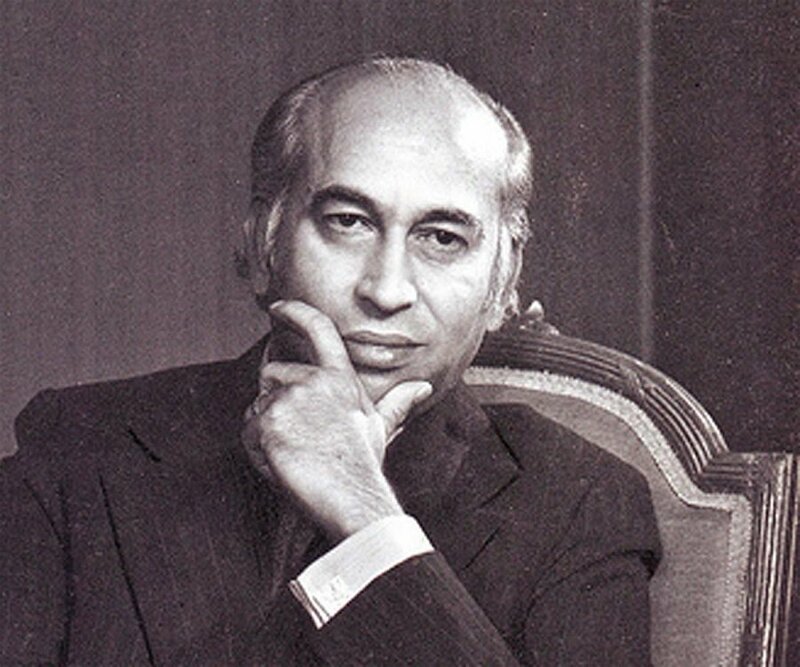 In October 1977, some Pakistan National Alliance (PNA) workers in London were already claiming that Bhutto would be hanged, indicating that the decision was made even before the trial was conducted. During that period, Begum Nusrat Bhutto gave an interview to The Guardian where she shared her fears that the military had made its decision to get rid of Bhutto and that General Zia had ignoble intentions for her entire family. Her lawyer, Yahya Bakhtiar also stated in the Supreme Court of Pakistan (SC) that he suspected a false trail to be conducted against Zulfiqar Ali Bhutto. The news of Bhutto’s death sentence spread like wildfire. Pakistanis and Kashmiris felt devastated by the news. In a London newspaper, the then-British prime minister Edward Heath commented on the decision saying that it would have long-lasting and dire consequences for Pakistan. Other British leaders, as well as leaders from around the world, condemned the decision to hang Bhutto. Pakistanis registered a strong protest against the decision. The streets echoed with slogans of “long live Quaid-e-Awam” and “death to dictatorship”. Pakistanis demanded an immediate release of their beloved leader. An eminent British lawyer Sir John Matthew visited Pakistan to witness the trial. Upon his return from Pakistan, I happened to meet him and he shared that if such a case was presented in the British courts, it would have been immediately dismissed. He further observed that the biased attitude of the chief justice gave away the fact that the decision would be given against Bhutto. Mir Murtaza Bhutto organised a protest in Birmingham against his father’s death sentence. He led thousands of protestors in the streets of Birmingham chanting slogans for the release of their beloved leader. In his address to the people, Mir Murtaza Bhutto said that Zia was conspiring to murder Zulfiqar Ali Bhutto and that only a global campaign by the people could save him. The protest received prominent coverage in the local papers of Birmingham. This protest was the beginning of worldwide outrage against Bhutto’s sentence. British Pakistanis and Kashmiri joined hands and held demonstrations in front of Pakistani High Commissions. Hyde Park in London became a symbol for the restoration of democracy. After Zulfikar Ali Bhutto was hanged, all the major newspapers of the world commented on the decision and called it a political murder and injustice against Bhutto. A lot of papers even named the chief justice and stated that his partial decision could not have stayed hidden from the world. It has been 39 years since Zulfiqar Ali Bhutto left us. Shaheed Benazir Bhutto in a television interview once said that she does not believe in the politics of revenge. Later, the world saw that her faith was vindicated by history. The ashes of those who devised the plan of Zulfiqar Ali Bhutto’s murder have become lost in the pages of history. On the other hand, Bhutto, whose name was attempted to be erased from history, is alive even today.